In late January, New York State Legislators expect to pass eight new gun-control bills that would allow people to seek court orders to ban “dangerous” individuals from owning guns, bar schools from allowing teachers to be armed, ban bump stocks, and extend waiting periods for relevant background checks. This is the first set of restrictions on guns that New York has passed since the SAFE Act in 2013. Specifically, the ability to obtain court orders—known as the “Red Flag” bill—would allow family and household members, police, and school officials to seek court orders forcing someone to give up any and all firearms if they believe that they are a danger to themselves or others. In order to obtain the court order, probable cause that this potential for serious harm would have to be found, and if granted, would bar someone from purchasing, possessing, or attempting to purchase a gun for up to one year (subject to renewal). Currently, anyone can carry a gun on school grounds or on a school bus if they have written authorization, however, the new legislation would only allow school officials to do so. In addition, while current law only requires three days for a background check to clear before a purchaser can obtain a gun, the new law would increase that to 30 days. New York authorities would also be able to review mental health records for any out-of-state gun permit applicants. According to its supporters, this would have prevented the 2015 mass shooting in Charleston, South Carolina, where the shooter obtained a gun before he was officially cleared via background check. The new legislation would also prohibit 3D guns—not only possession, manufacturing, sale, and distribution—but also the dissemination of instructions on how to make them. Possession would be punished by serving up to four years in prison for a Class E felony and manufacturing or selling them would be a Class D felony, punishable by spending up to seven years in prison. While it is already illegal to attach a bump stock to a weapon in New York, it is still not technically illegal to possess, sell or distribute them. New legislation would establish criminal penalties for these activities. 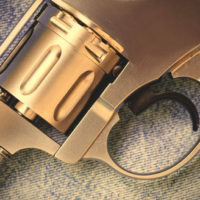 In order to implement these changes, the legislation also directs State Police to compose regulations for the establishment of gun buyback programs and ensure safe storage by imposing criminal penalties—a Class E felony, punishable with up to four years in prison—for failing to safely store a firearm. This includes new notice requirements for gun dealers. If you have been accused of violating a gun law here in New York, contact our experienced New York criminal defense attorneys at the office of Phillip J. Murphy today to find out how we can help.